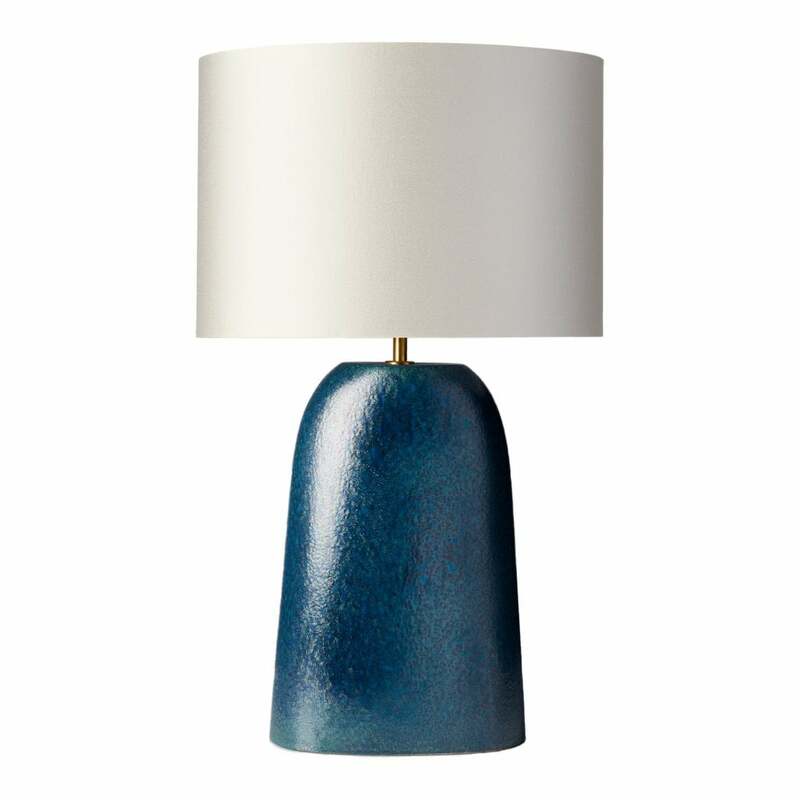 The Onta Table Lamp by Heathfield & Co features a unique ceramic glaze that highlights its bold silhouette. Skilfully formed, the vivid, cobalt blue colour and iridescent detailing complements the understated form. The high gloss lustre and elegant shape will add a pop of colour to any interior scheme. Style with metallic accessories to create a more luxurious look. Shown here with an ivory satin shade, a wide variety of fabrics and colours options are available. Get in touch with our friendly team to receive advice and samples.